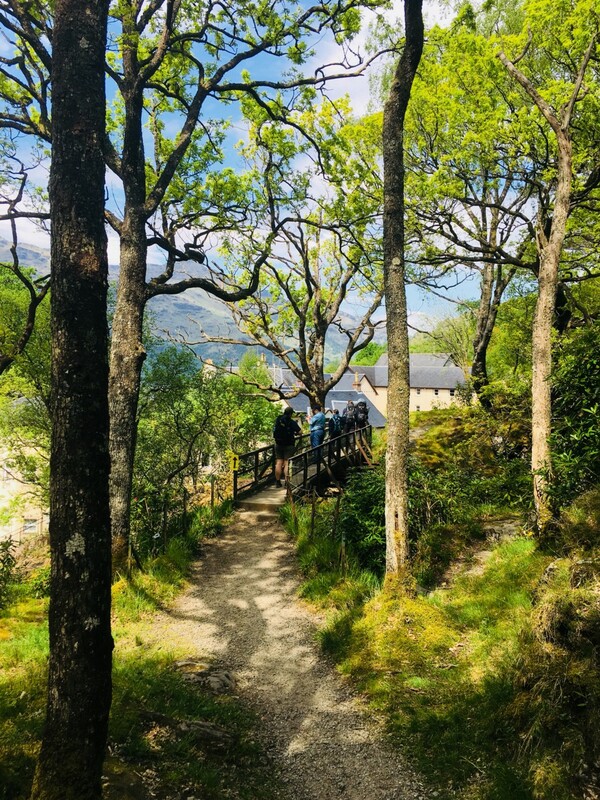 The WHW Rambler Cruise is the perfect way to experience a stretch of the famous West Highland Way, Britain's longest Footpath. As its only 7.5 miles, its perfect for a half day or for the more leisurely(!) a full day’s walk. 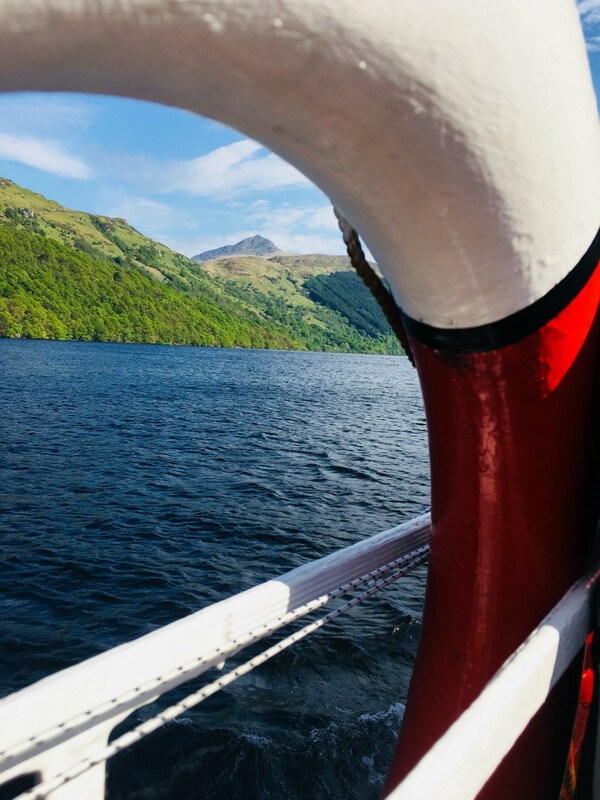 Departing from the pier at Tarbet, Loch Lomond at either 8.45am, 10.00am or 11.30am you can sit back and enjoy the cruise to the eastern shore of the Loch. The Inversnaid Hotel, which boasts some of the best views of Loch Lomond, was commissioned by the Duke of Montrose in 1820 and was originally used as a hunting lodge but tourism was booming and it was soon converted into a hotel. 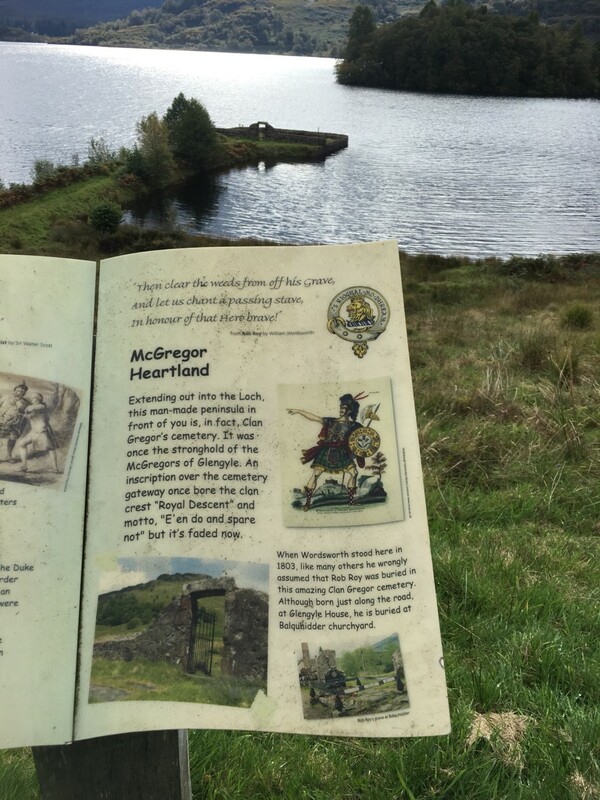 The area itself is a historically important location and has hosted clan warfare, Jacobite rebels and Highland clearances. The most infamous of locals was the cattle reiver and outlaw Rob Roy MacGregor who lived in nearby Glengyle! 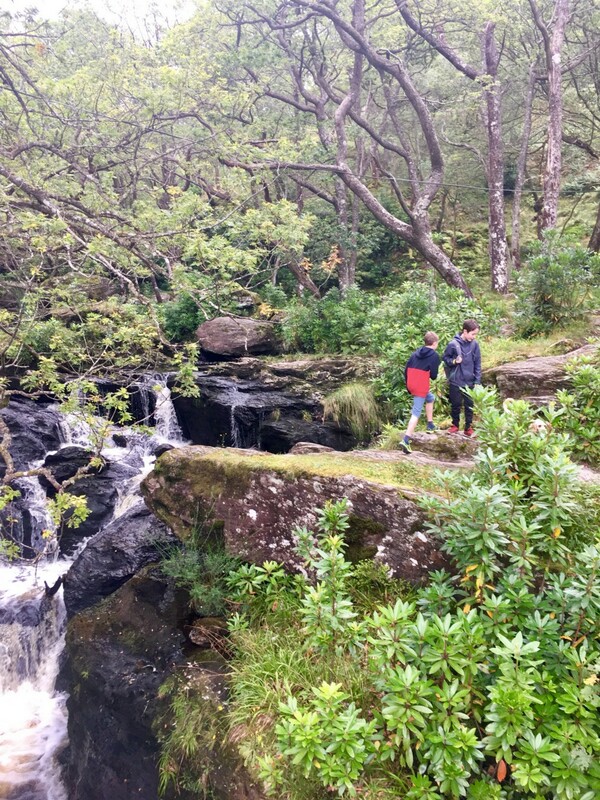 Once off the boat at Inversnaid, take a turn to the right hand side of the Hotel and climb the steep steps to the top of the Arklet Falls. A lovely place to stop and take photos looking out over the Loch and to the Haggis factory on the hill opposite…. 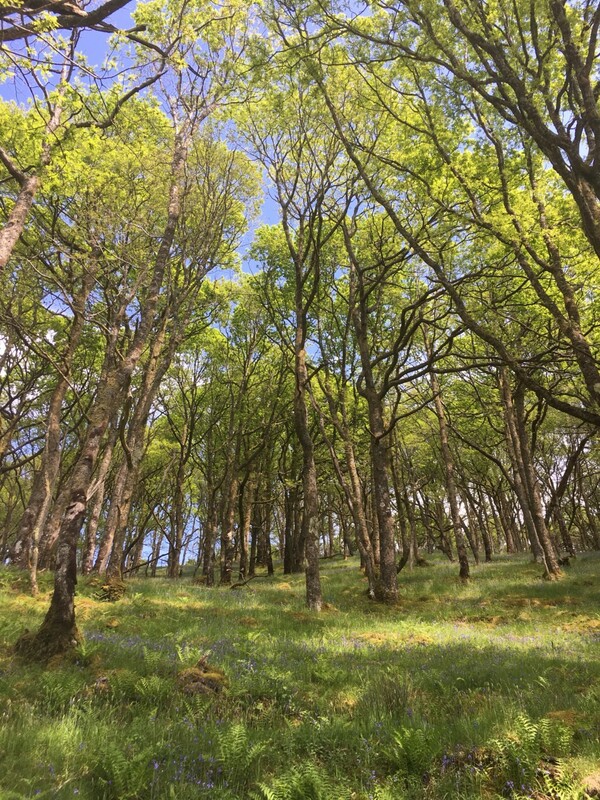 Setting out on the 7.5 mile path you will walk through ancient oak woodland and scramble among boulders above remote Loch inlets. This area is home to a wide range of wildlife, including the rare feral goat which roams the surrounding hillside. 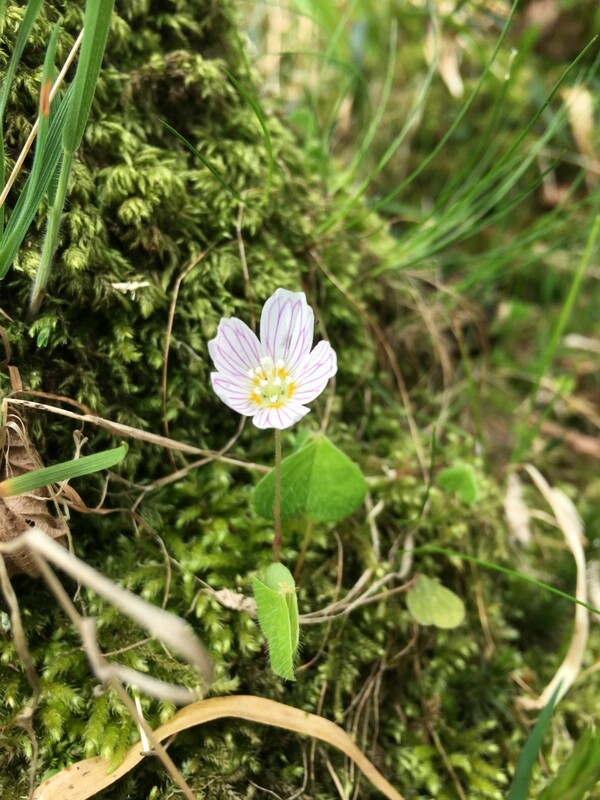 There are also a wide variety of rare birds in the area including Black Grouse, Pie Flycatcher, Redstart, Twite, Wood Warbler, Red Kite and the majestic Ospreys. 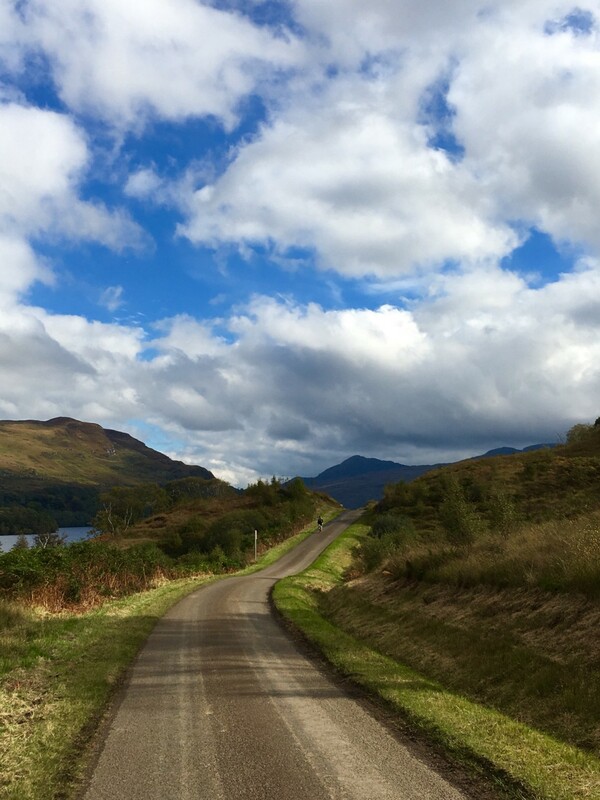 It wouldn't be the Bonnie Banks if we didn't have a High Road and a Low Road and you are given the option a couple of miles into your walk. 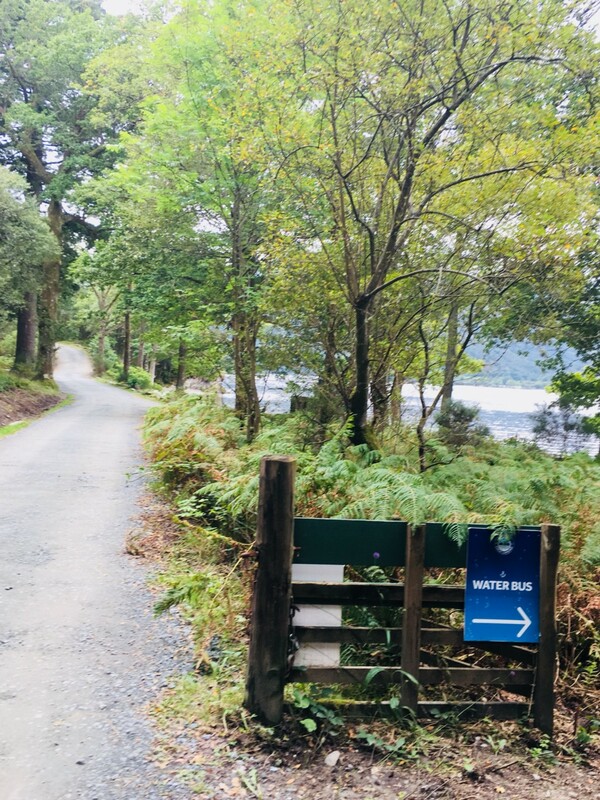 At Ptarmigan Lodge you can either take the higher forestry road or you have the option to take the low Loch side road. Both beautiful routes but with possibly more Loch side picnic spots and views we tend to favour the low road. If you are feeling a bit peckish on your walk some enterprising folk along the way have set up a wee Honesty Stop. 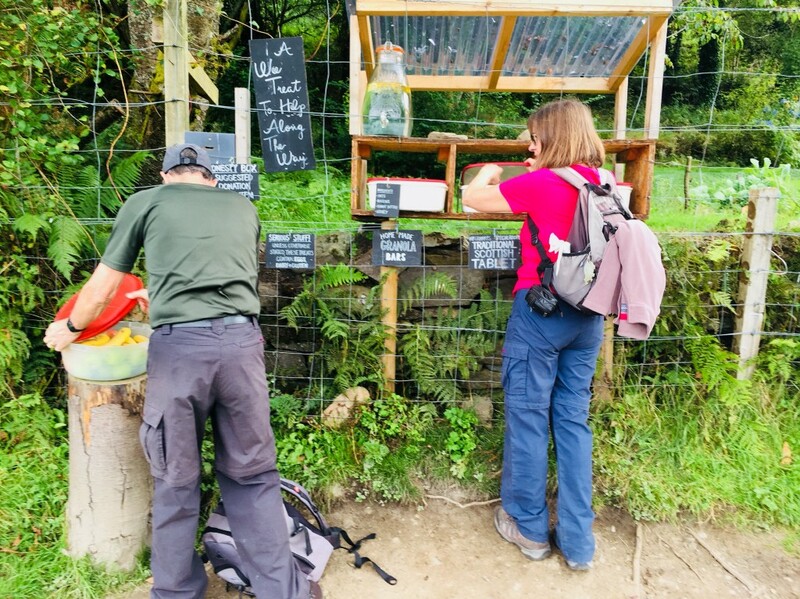 With homemade tablet, energy bars, slices of orange its a great place to take a breather and if you have kids with you, to entice them on with treats! There are a number of little beaches where you can take your time to stop for a picnic. With no rubbish collection at this point of the Loch just remember to take everything with you when leaving. The return ferry back to Tarbet departs from the Rowardennan Lodge Youth Hostel . 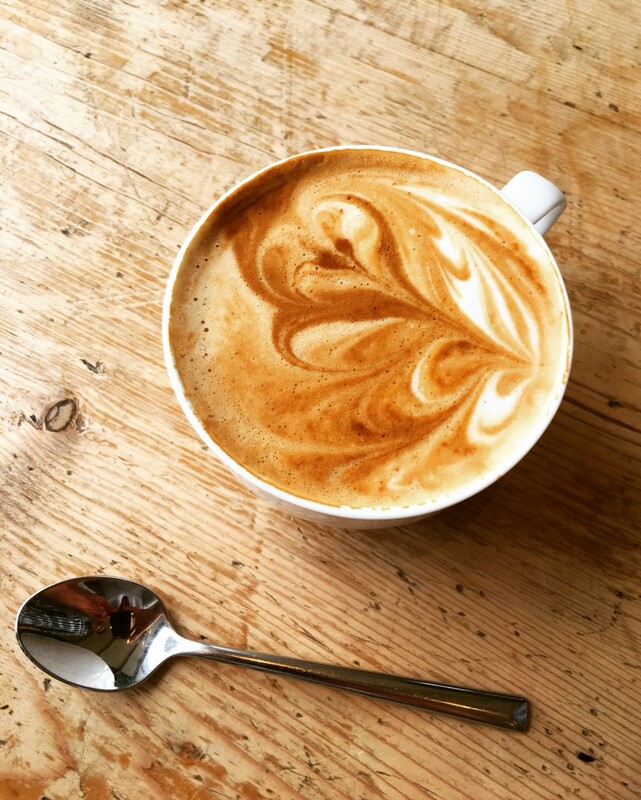 The Youth Hostel offers snacks, ice lollies, cold and hot drinks throughout the day. 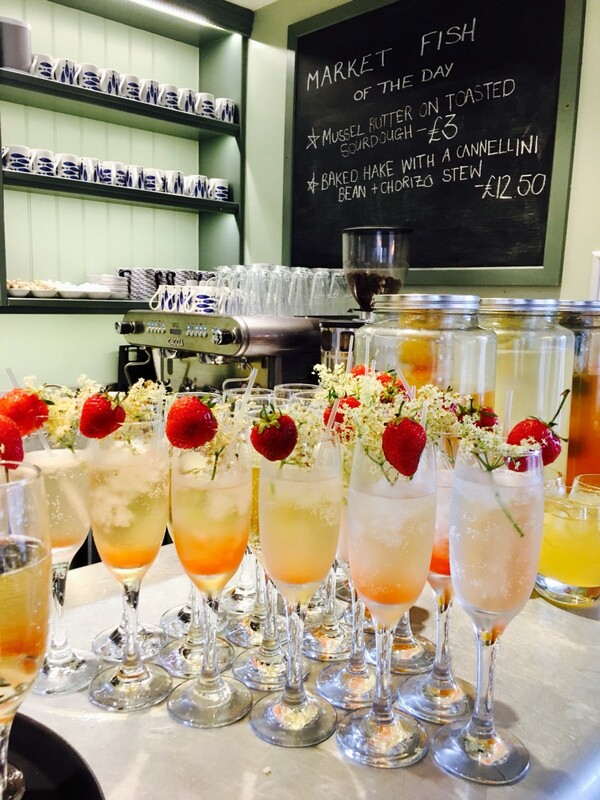 If you have a bit more time to relax after your walk then the Rowardennan Hotel offers lunch options. This is a 15 minute walk from the jetty at the hostel so just remember to leave plenty of time for your walk back. 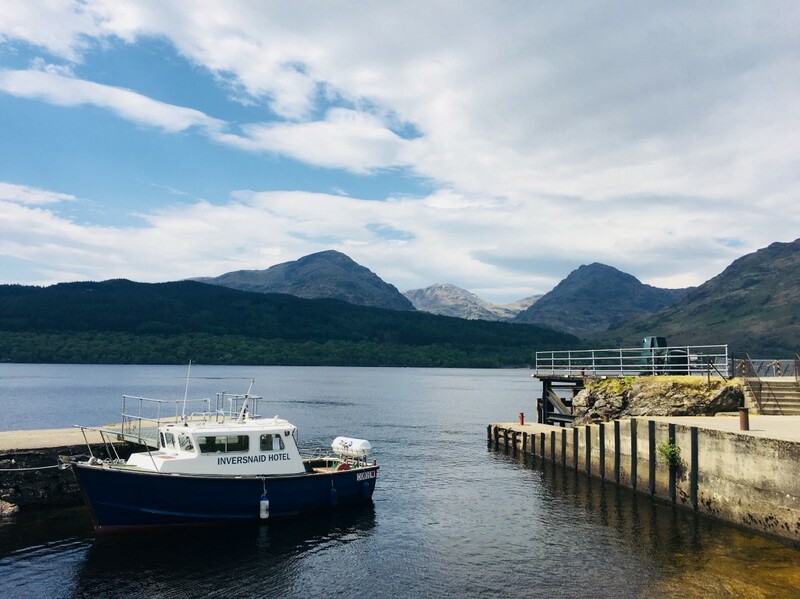 Our boat departs at the Rowardennan Youth Hostel jetty at 4.45pm, arriving in Tarbet at 5.30pm. Sturdy boots are recommended and please keep dogs under control. A complimentary coffee / tea on outward journey and a beer, wine or soft drink awaits you on your return leg. This walk is family friendly (recommended for children aged 8+ who are able to walk 7.5 miles). I had heard about the two Lochs tour but wasn't quite sure what it entailed. I knew it involved joining Loch Lomond up with Loch Katrine but my geography let me down after that. Luckily the crew at Cruise Loch Lomond set me right and told me that it involved 2 cruise boats, 2 lochs and 33 k of cycling. A doddle! Recruiting a friend, we set off down the A82 to Tarbet on Loch Lomond. Leaving the car in the car park (its still free parking) and grabbing an energy boosting hot chocolate and our cruise tickets at the Bonnie and Ben cafe, we made our way down to the Pier. Taking the 10.00am boat from Tarbet, it was a half hour crossing to Inversnaid. This gave us plenty of time to make our next sailing at 11.30am at the Stronachlachar Pier. What a lovely way to spend the first half hour listening to Archie our skipper regale us with stories and history from the Loch. Archie also told us that he had cycled the 2 Lochs tour the year before and assured us that 33k was not that long! Disembarking at Inversnaid we made a quick toilet stop at the Inversnaid hotel, situated beside the beautiful Arklet waterfalls. Archie had warned us about the the very steep hill leaving Inversnaid, and boy, had he been right! Managing the first tight corner we had to admit defeat and pushing our bikes we huffed and puffed to the top. It didn’t take long and once at the top we where able to catch our breath and enjoy the half hour cycle and 6k route down to Stronachlachar and our next boat to catch. Grabbing a quick takeaway tea at the Stronachalar tea room we waited at the Pier for our next boat, The Sir Walter Scott steamboat. It was lovely watching it come into the pier, steam puffing gently out its funnels. We were joined by visitors from Lochs and Glens Holidays, who were very impressed with our grand day out and how far we were going to cycle! 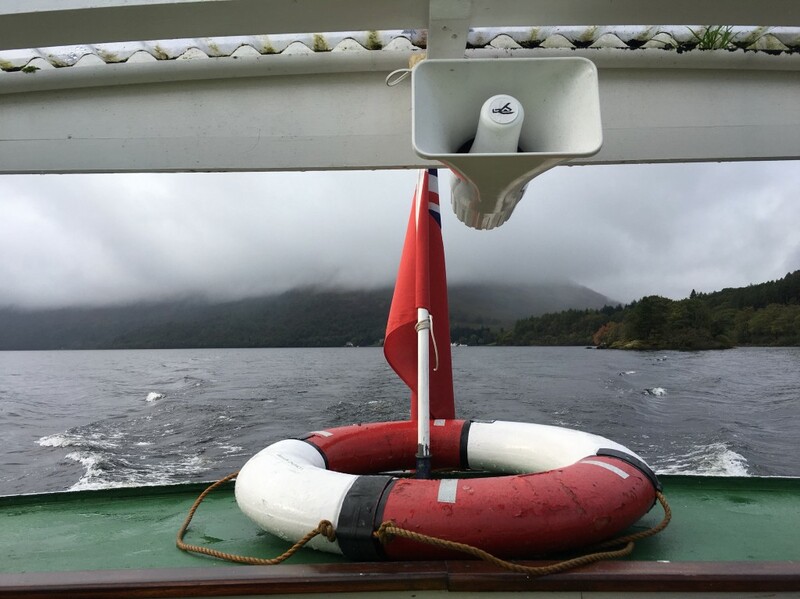 Having experienced many cruises on Loch Lomond it was lovely to enjoy a different area of the National Park. As a born and bred east coaster it was like putting different parts of the jigsaw together in respect of geography. I now knew what was behind Inversnaid and it was even better knowing I had got there by pedal power and not by car. 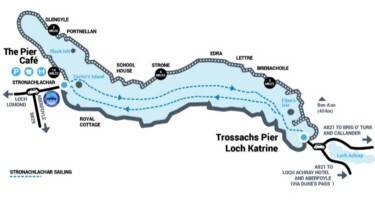 The cruise from Stronachlachar to the Trossachs Pier takes an hour and from the boat we could see the Loch side route that we would be cycling, all 33k of it! Setting off from the Trossachs Pier. Disembarking at the pretty Trossachs pier we had time for a quick lunch at the Brenachoile Cafe and then we where on our way. Cycling on the road back to Inversnaid we were relaxed knowing we had a 3.5 hour window in which to reach our destination. We had been advised that the average cycle time for the route was 2.5 hours, so this gave us plenty of time for photos and pit stops. There are no refreshment stops on the road to Stronachlachar so we made sure we had plenty of water with us. As recreational cyclists this was perfect for us, undulating with some long uphill segments, and as soon as you felt your legs about to give up, the next corner would open up to a glorious downhill. 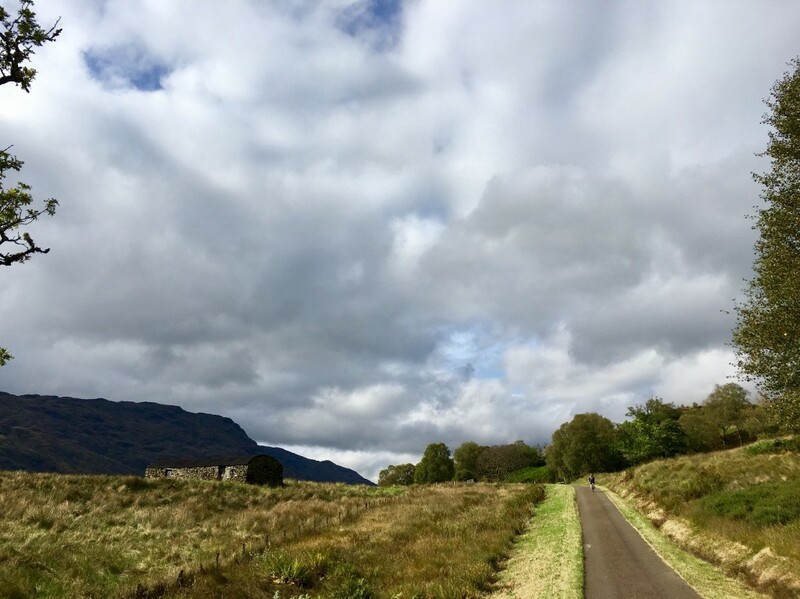 There were also lots of excuses to stop and take in the incredible views and as this is Rob Roy country, we were told to look out for historical signposts. What we found to be especially welcome on this journey was the lack of traffic on the road. From the start we pretty much had the road to ourselves and in fact only passed one National Park Van the whole day. It’s a bit of a sneaky section approaching the far end of the Loch, there’s a good 5 mile section where you are looking across at Stronachlachar, teasing you with its proximity. Its almost a stones throw away and with no bridge (why would there be?) we pushed on, looking forward to a cold drink on our return trip back to Tarbet. Catching up with skipper Archie on board we had that satisfied glow you get after a day of fresh air, beautiful scenery and exercise. We absolutely deserved the Loch Lomond Ale we had in our hands and we were soon chatting about when we would do it again. That’s a sure sign of a good day out!? 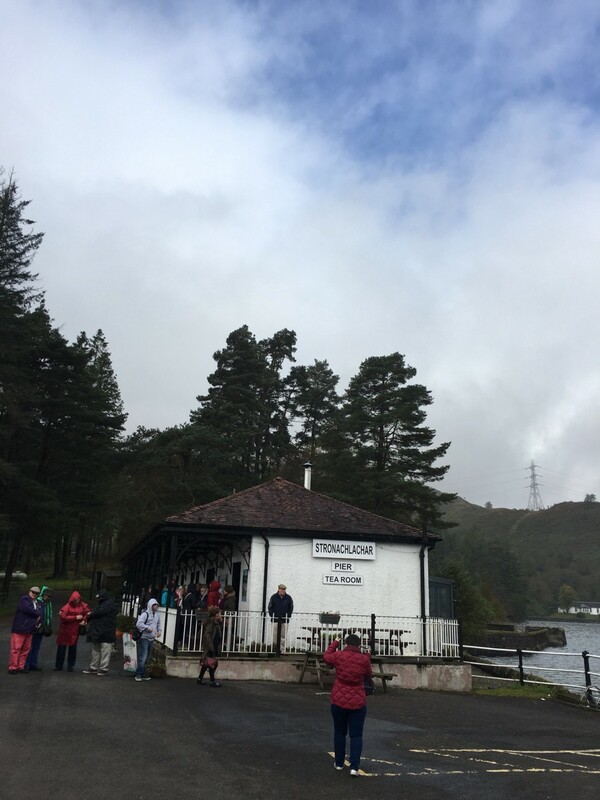 Loch Katrine £14.00 Stronachlachar to Trossachs Pier. Tickets sold separately and we advise you to book in advance to ensure a space. 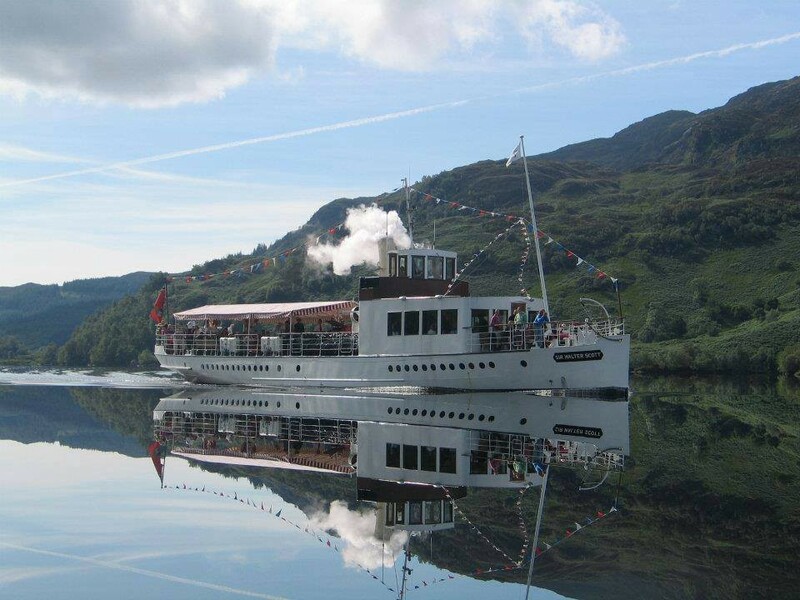 WIN a short break holiday with ARGYLL HOLIDAYS and a CRUISE on Loch Lomond! Our friends at Argyll Holidays are helping us celebrate our 40 years anniversary by giving away a short 3 night (Friday- Monday) or 4 night (Monday to Friday) break in an Osprey Comfort Plus Lodge at Drymsynie Estate Holiday Village. 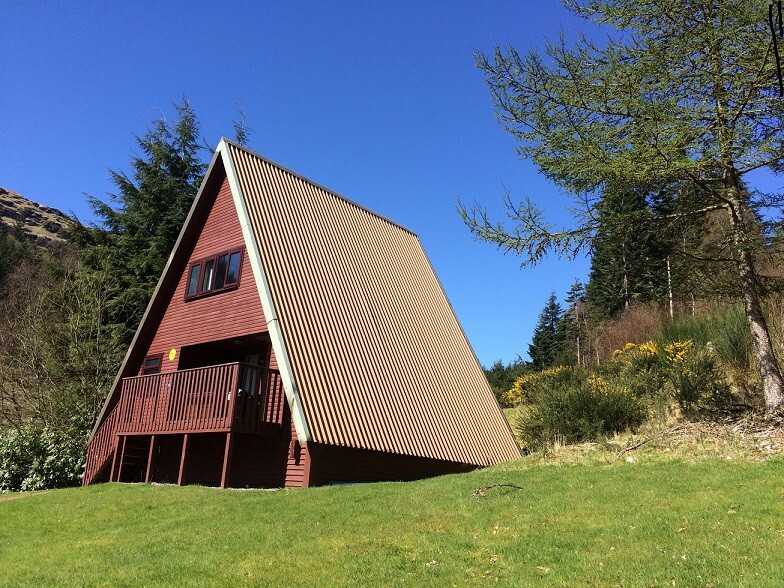 These A-frame Lodges sleep up to 4 adults and 2 children, and are perfect for a relaxing break away yet they’re still close enough to all the action, situated right at the edge of the hotel and leisure centre. Set in the heart of Scotland this holiday offers beautiful scenery, wildlife, walking trails and a huge range of events and activities. 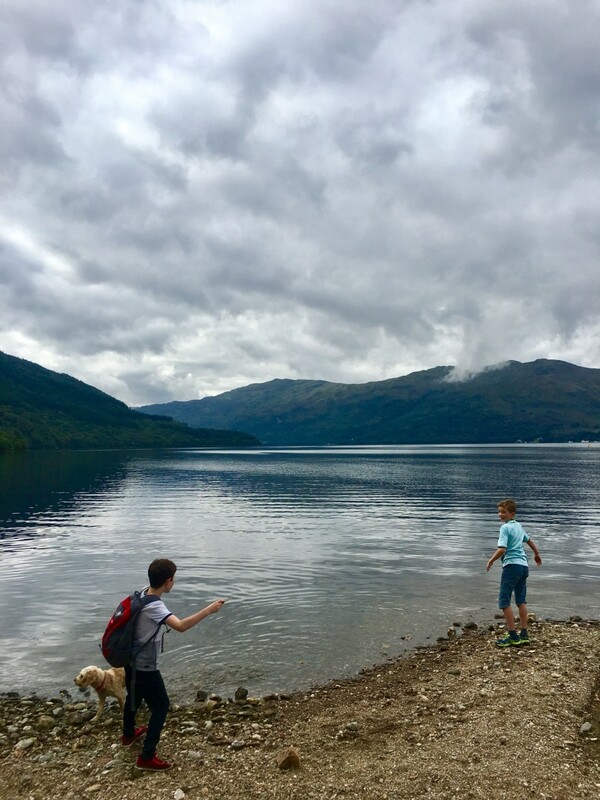 Whether you’re a family looking to entertain the kids, couple looking to relax or a group of friends looking for adventure, there’s something for everyone at Argyll Holidays. As well as your stay at Drymsynie, we will be inviting you on board with the choice of one of our cruises. 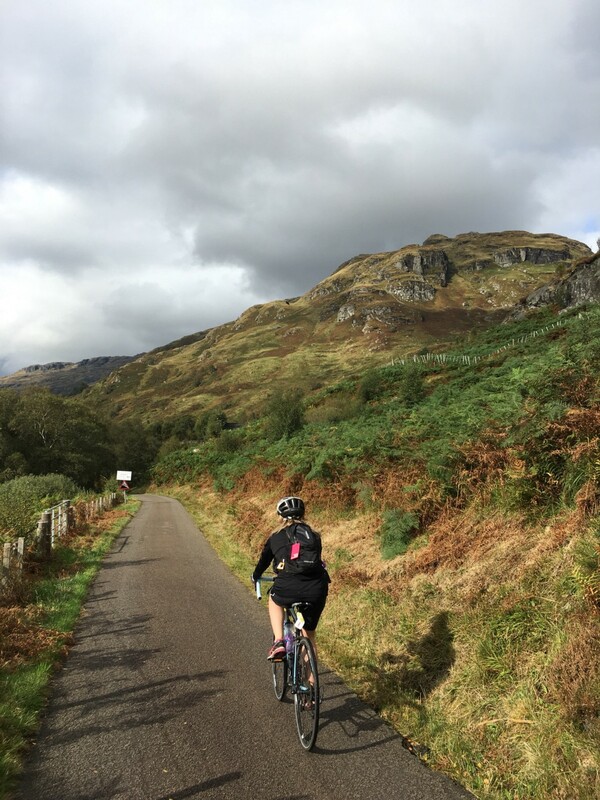 Choose between our active cruises, walking 7 miles of the famous West Highland Way, exploring Inchcailloch island, climbing Ben Lomond or cycling in the Trossachs. Or jump on board from Luss and head over to Balmaha, a great starting point for climbing Conic Hill. Or simply make your way to the heart of the village to explore the National park visitor centre, coffee shop and restaurants. Sit back, relax and take in the views! For your Chance to win go to facebook.com/cruiselochlomond competition page and enter who you would take with you in the comments section! 1) To enter the competition, you must be 18 years of age or over . 2) The competition is only open to persons who are resident in the United Kingdom. 3) There is no requirement to make any purchase in order to enter the Competition. 4) Only one entry per person is permitted. The closing date for this competition is 30 April 2018. Competition winner will be announced on 31st April 2018. 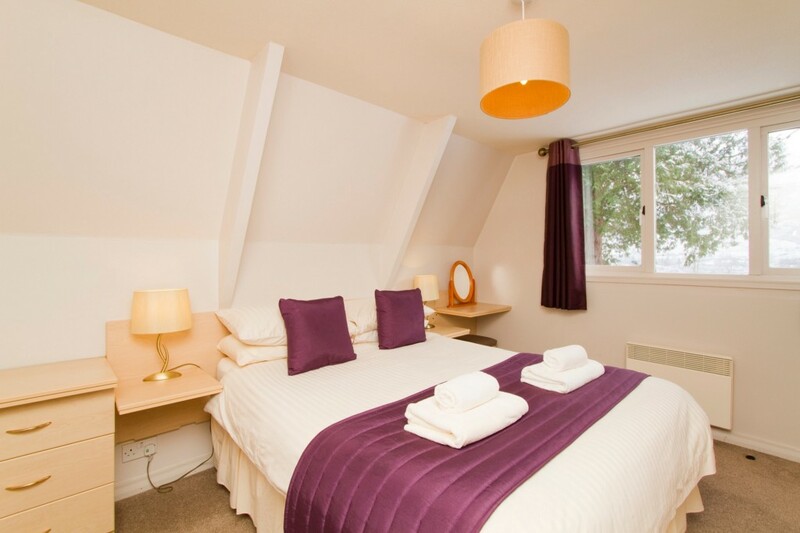 7) The prize is for a short 3 night (Friday-Monday or 4 night (Monday-Friday) break in an Osprey Comfort Plus Lodge at Drimsynie Estate Holiday Village and a cruise with Cruise Loch Lomond (max 5 persons). 8) Prizes which include an Argyll Holidays break will be off-peak unless otherwise stated (outwith School holidays), and are subject to availability. 9) Prizes are non-transferable and there is no cash alternative. 10) Break and cruise must be taken within 12 months from the closing date of the competition. 11) Argyll Holidays reserve the right to cancel or amend all or any part of the Competition and/or the Rules without notice for any event that is outside of our control. Any changes to the Rules, or cancellation of the Competition, will be posted on our website (www.argyllholidays.com). 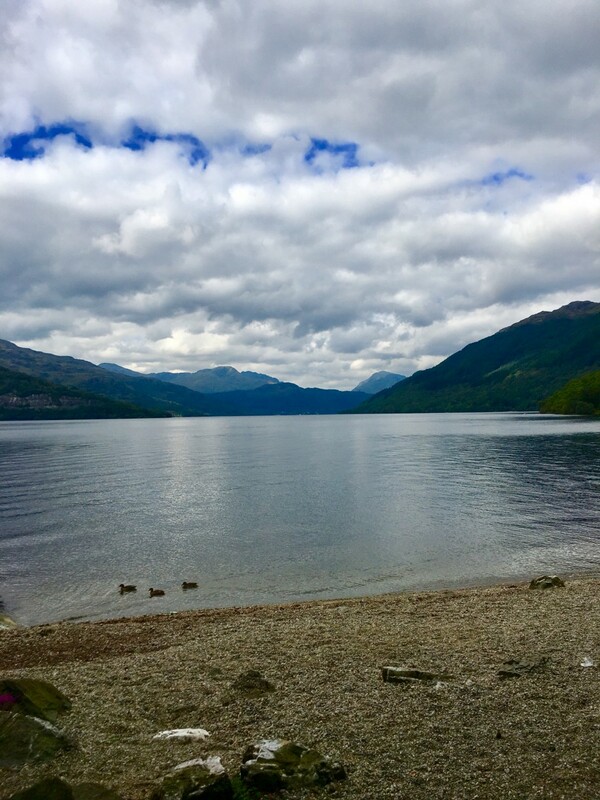 12) In the event of any dispute regarding the Rules, the conduct or results of the Competition, the decision of Argyll Holidays and Cruise Loch Lomond shall be final. 13)This promotion is not in any way sponsored, endorsed or administered by or associated with Facebook. Any questions, comments or complaints regarding the promotion will be directed to Cruise Loch Lomond. 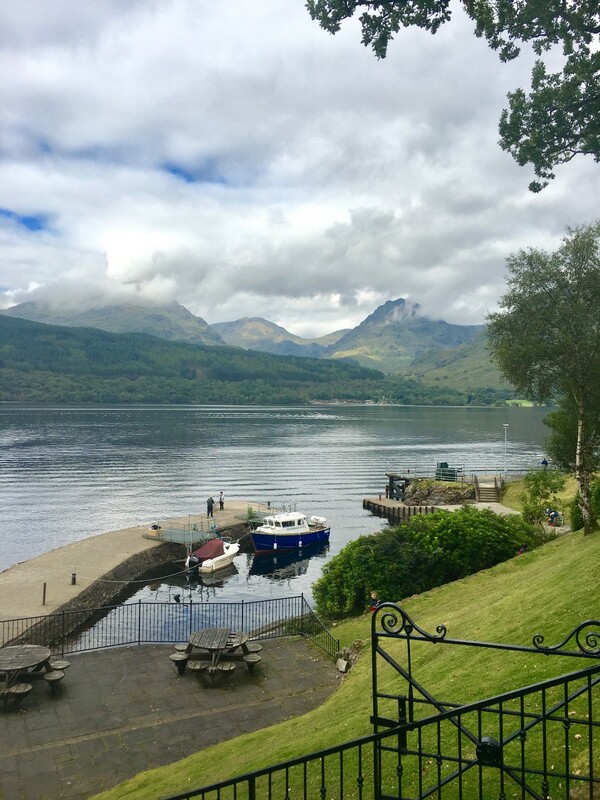 Myhotelbreak recently wrote a blog on Cruise Loch Lomond and this is what they had to say about us! 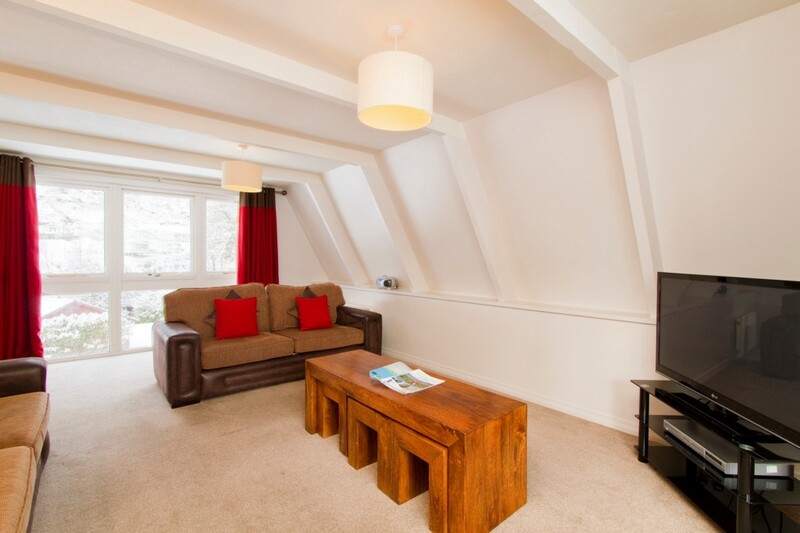 “If you’re looking for the ideal weekend away or overnight stay then you’re in good hands with myhotelbreak. Breaks in the country, city exploration, or a place by the beach, we have the hotel that suits everyone. We know what makes a good hotel break but what else adds to the whole experience? A perfect weekend away is even more memorable with having great attractions and amenities close to where you’re staying. 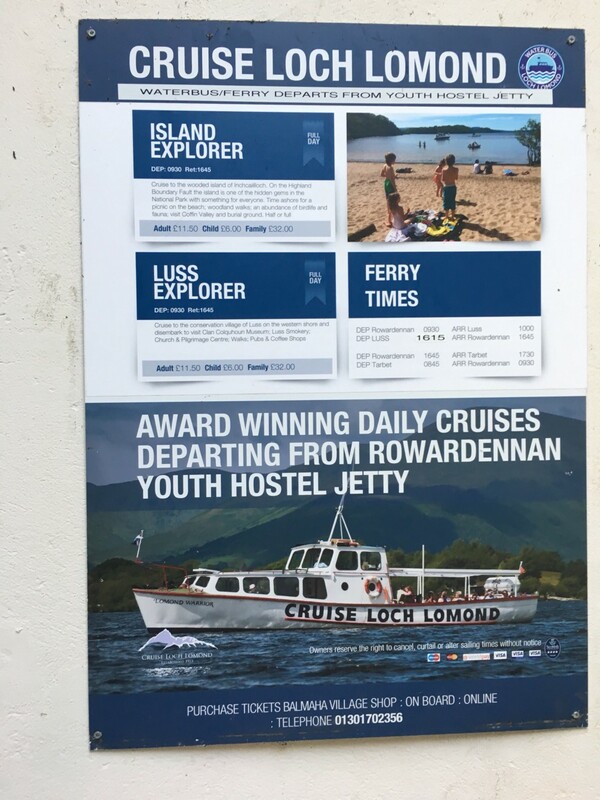 If you’re looking to stay in or around Loch Lomond this year then make sure you take time out to sample Cruise Loch Lomond. 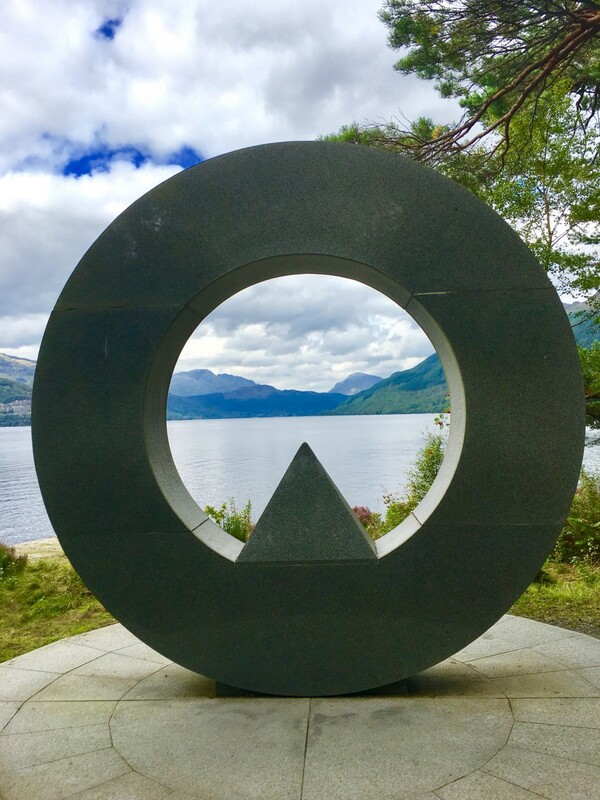 The family owned business is celebrating four decades in Loch Lomond this year so there’s no better time to experience this beautiful, scenic and historic part of Scotland. The cruise boats sitting pretty on Loch Lomond. 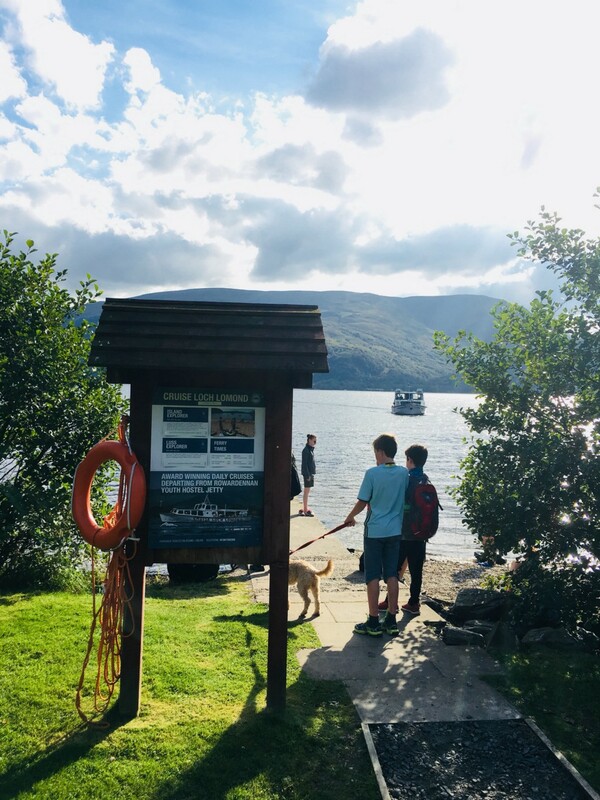 Whether you’re looking for hotels in Loch Lomond or just here for the day, Cruise Loch Lomond is a must visit attraction as you get to see the area from a different perspective exploring hidden gems tucked away in the Loch Lomond and Trossachs National Park. 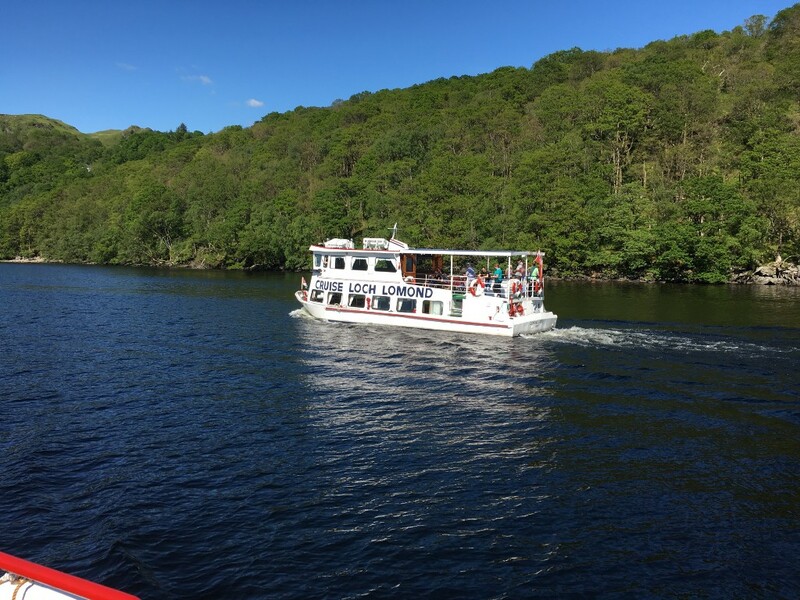 Cruise Loch Lomond has a fleet of 8 vessels that offer an exciting diversity of cruises for groups and independent visitors. 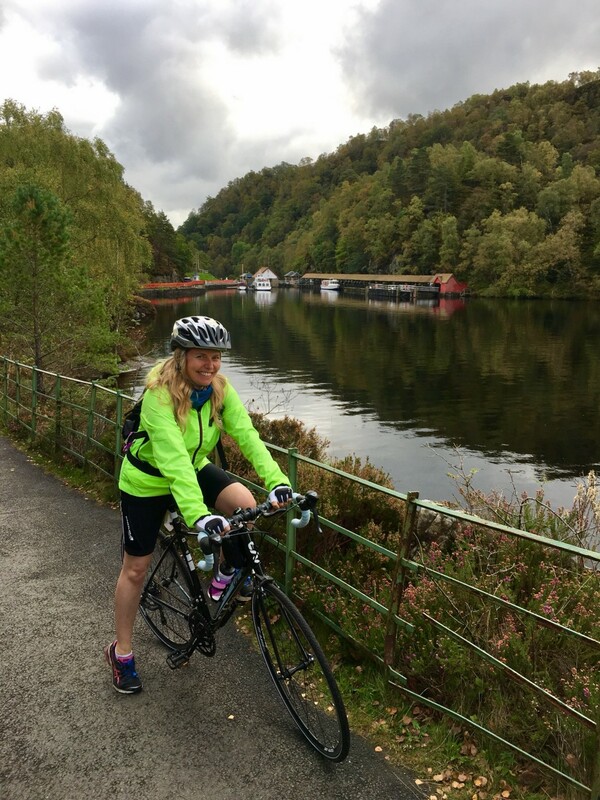 In recent times they’ve developed and evolved the service by offering soft adventures on or around the Loch with cruise and walking and cruise and cycling combinations. 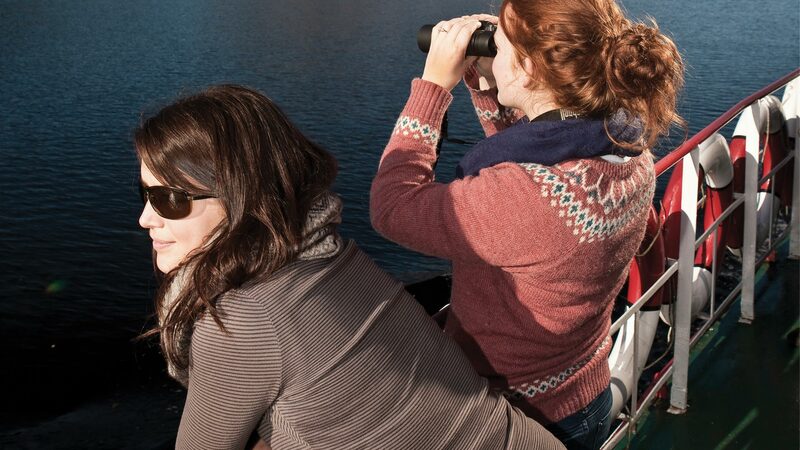 The cruise tours depart from various location around the Loch as well as Tarbet & Luss. 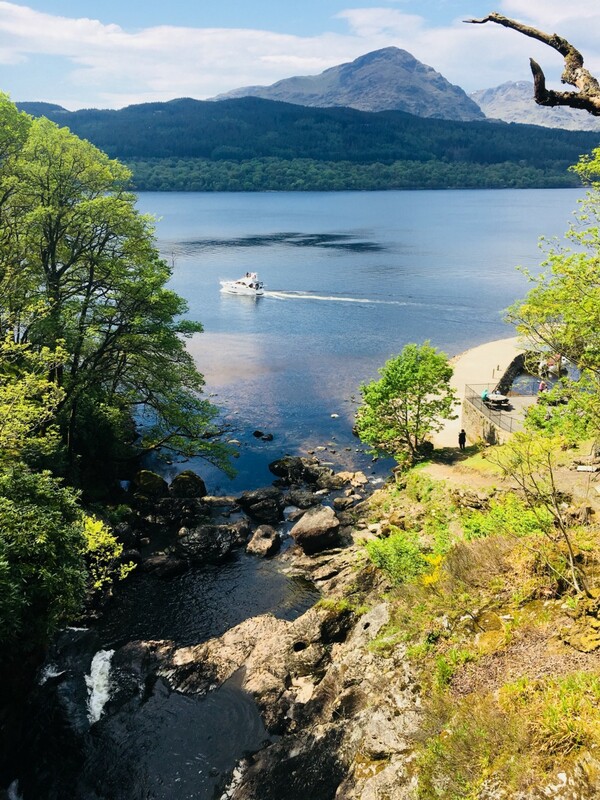 EXPLORE CRUISES: See Loch Lomond the best way by sailing to the opposite shore of the Loch or to Inchcailloch Island with the Island Explorer cruise. 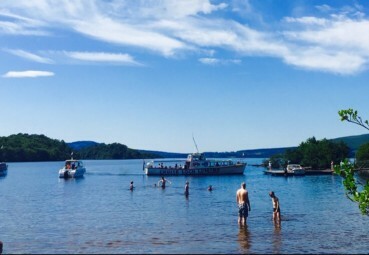 Take a short walk while ashore, enjoy lunch in a local pub or when the nicer weather hits then spend time with a picnic on the beach. May is a particularly good time to visit as the island is covered in a carpet of bluebells! 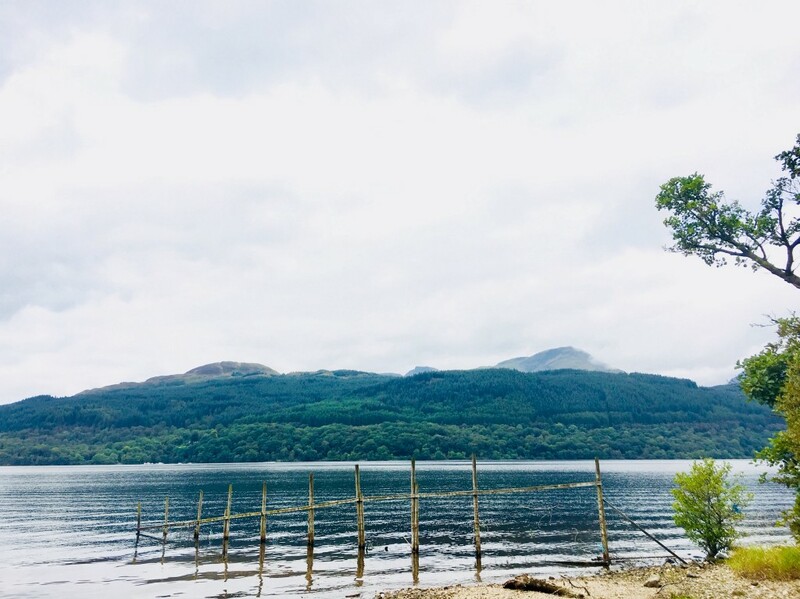 The beautiful village of Luss is a great place to spend a few hours with lovely walks, a picturesque beach and lots of lovely cafes and restaurants. 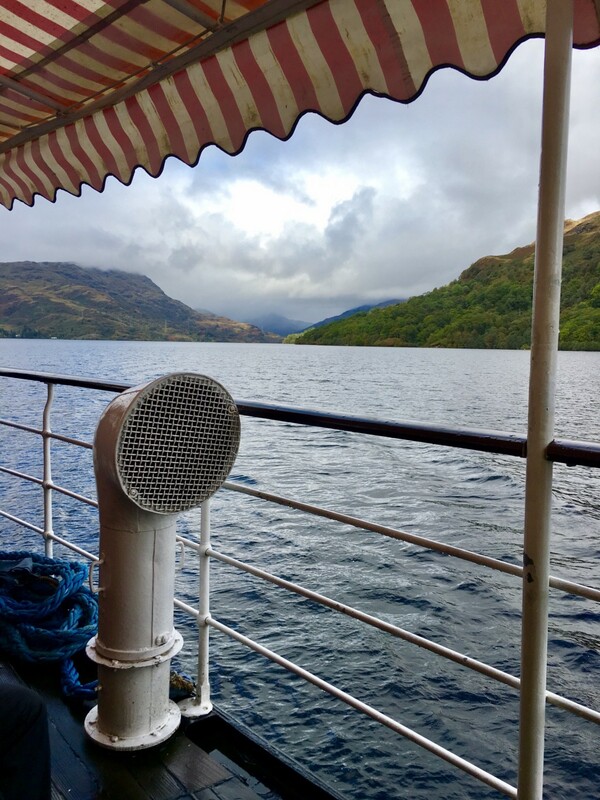 Rambler: Cruise to the eastern shore of Loch Lomond from Tarbet. 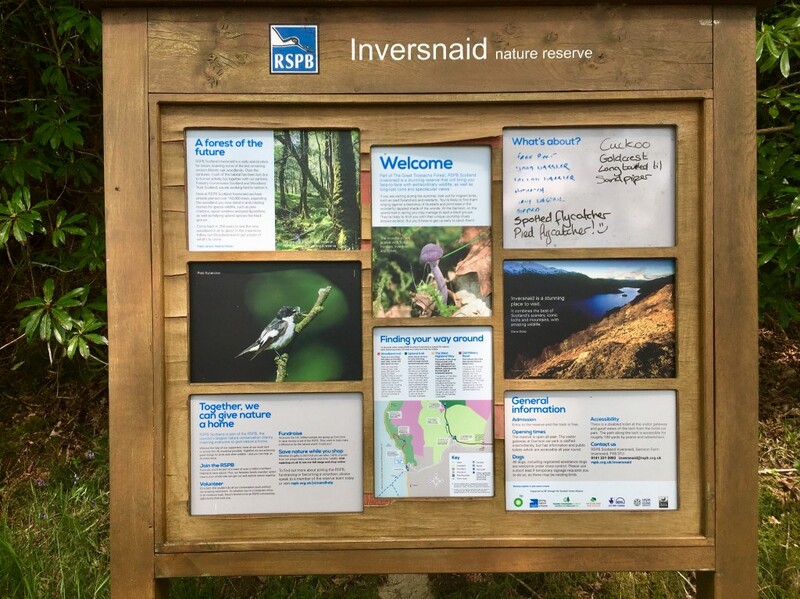 Explore and experience the West Highland Way between Inversnaid and Rowardennan. Don’t worry you won’t have to walk the 80 odd miles to Fort William, its only 7 miles! 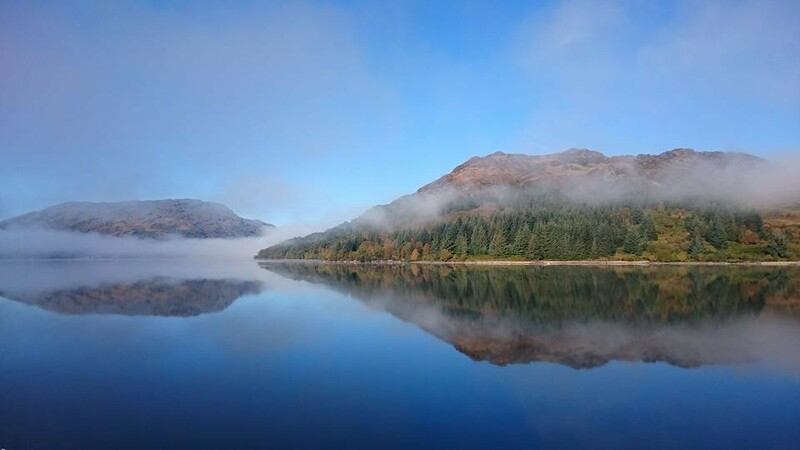 Ben Hike: If you fancy striking views from one of Scotland’s most southerly Munro’s then Cruise Loch Lomond offers a morning departure from Tarbet to Rowardennan. 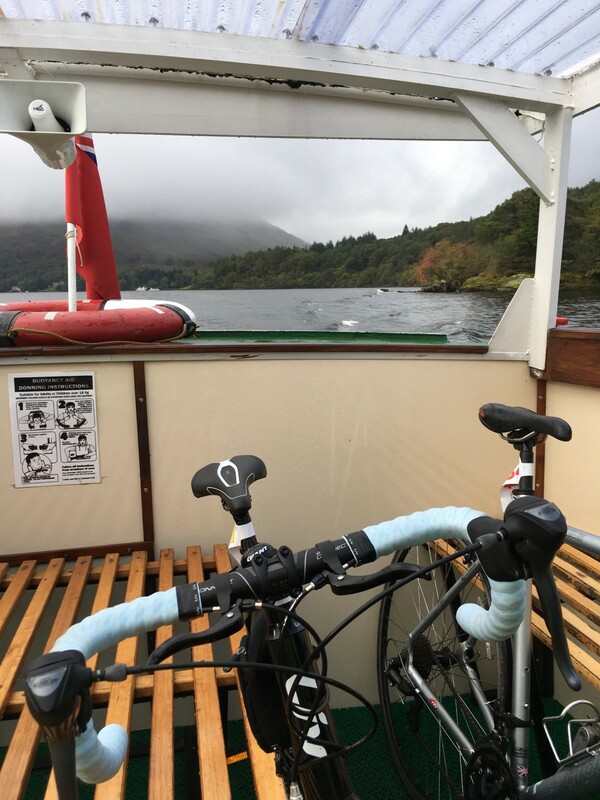 Cruise / Cycle combo: Cycle hire is available in Tarbet where you can cycle the 9 miles to Luss along the West Loch Lomond Cycle path and return via the 4.15pm cruise back to Tarbet. 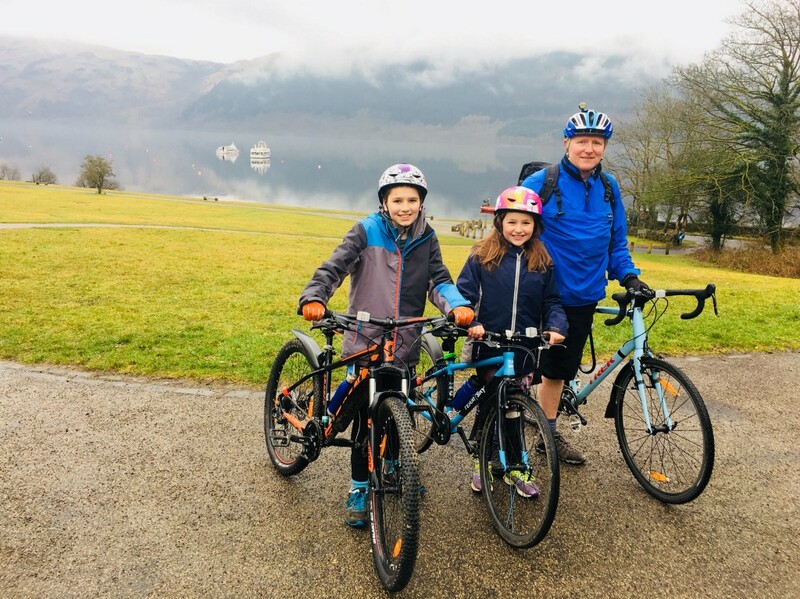 The cycle ride from Tarbet to Luss is perfect for families with just 9 miles to ride and no hills! Please get in touch with Cruise Loch Lomond or myhotelbreak.com for your 15% discount on all CCL cruises. The Viking Saga ready to set sail on the Clyde from Dunoon Pier. The Cordner family have been locals in Tarbet and Arrochar for over 70 years. 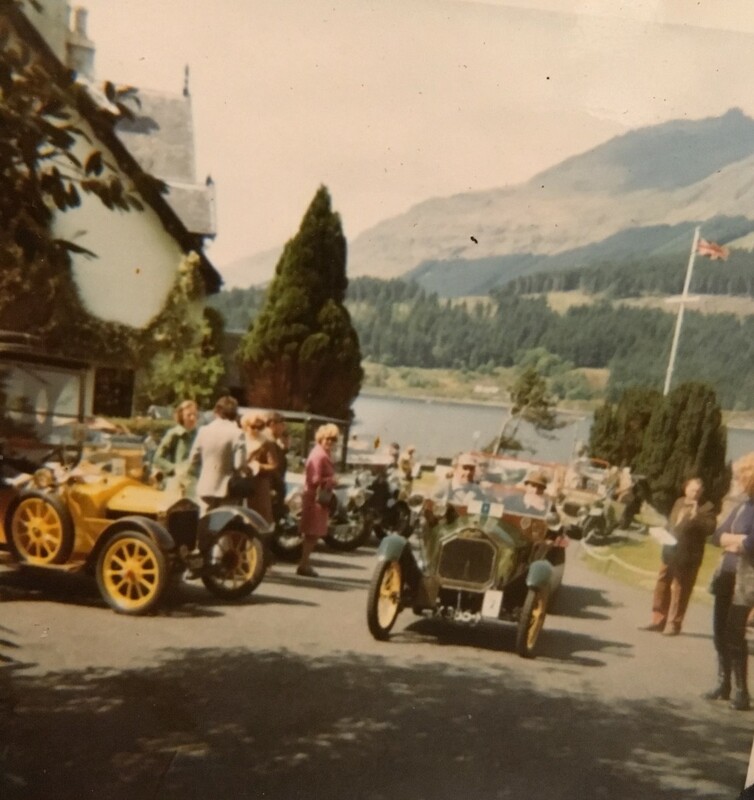 Having lived in Glasgow and owning Black Third Farm in Cardross they then moved to the village of Arrochar in the early 1940's. Roi and Kay bought Ardmay House on Loch Long and turned it into a unique Country House Hotel. With a small indoor swimming pool (salt water and not heated!) a mini ice rink for curling and a fully working musical organ in the grand hall it was a hotel full of character. 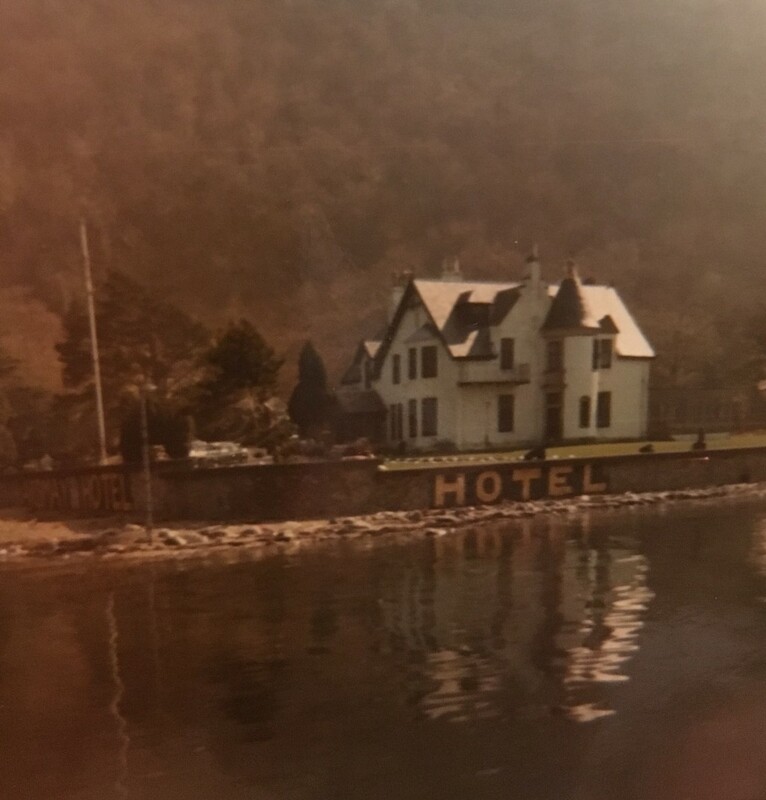 Well known as a great host, Roi would often pick up guests from Arrochar & Tarbet train station in his Bentley wearing full kilt regalia and with their son Stuart piping guests into dinner the Hotel gained quite a reputation as a special destination for both locals and overseas visitors. 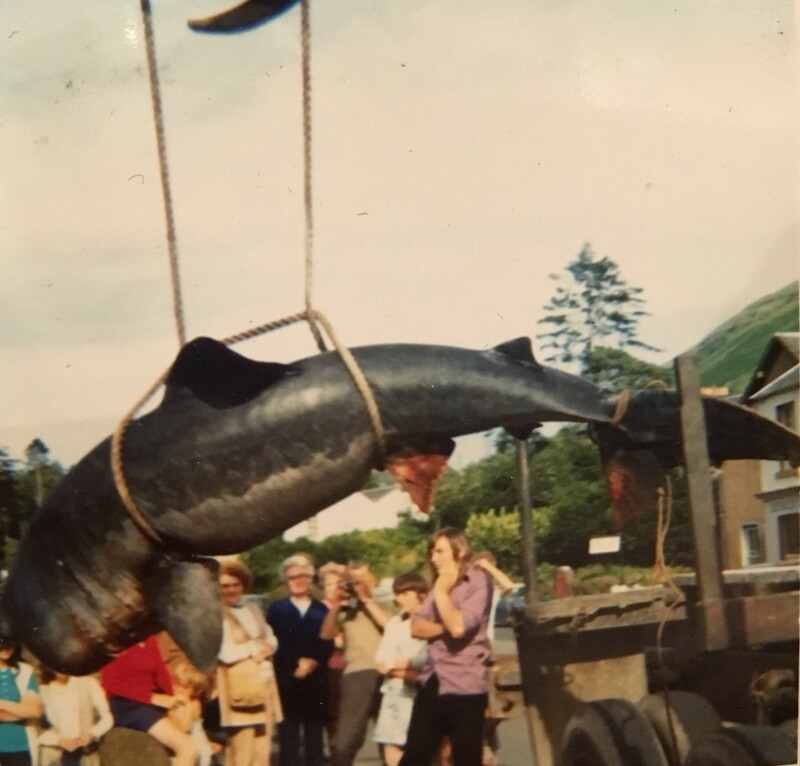 “We’re going to need a bigger boat!” Not Jaws but a basking shark washed ashore on Loch Long. 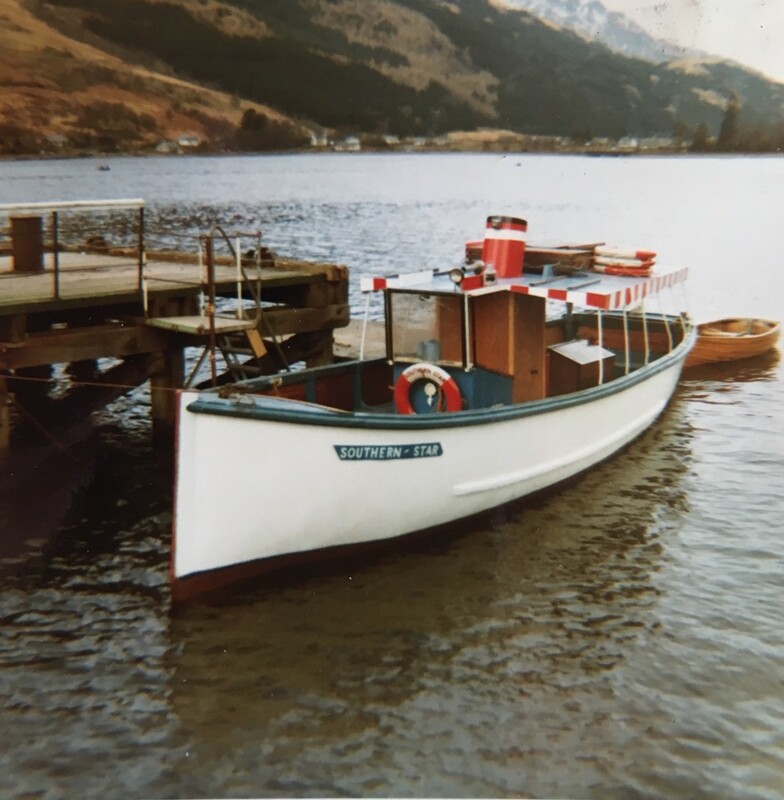 Following years of sheep farming on the hills above Loch Long and Loch Lomond, young Stuart shared his parent’s entrepreneurial flair and with his first wife Liz and pal Davie MacKinnon they started Arrochar Boat Hiring Company in the early 1970’s from Arrochar Pier. 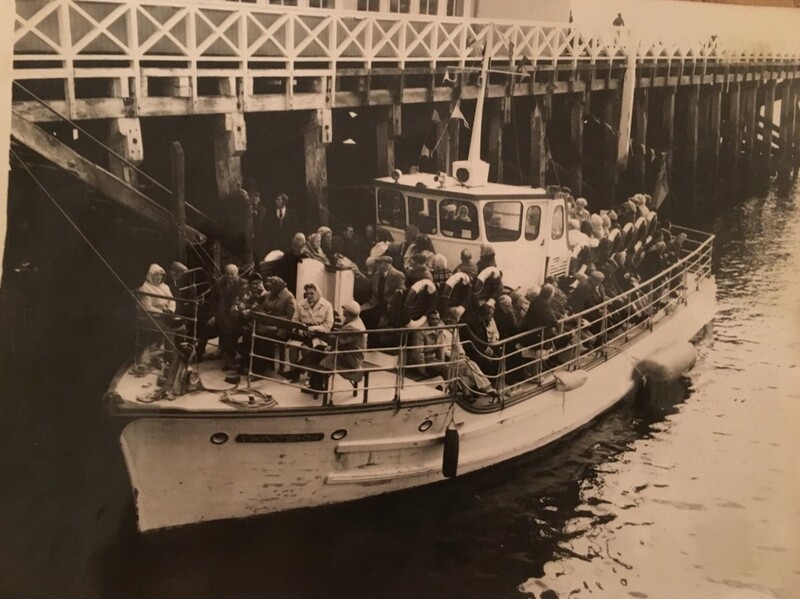 The fleet of dinghies grew to three passenger boats for fishing cod and mackerel that were in abundance in Loch Long and a passenger boat which operated from the pier at Dunoon carrying sightseers ‘doon the water’. The fleet also included tugs and the smallest registered cargo vessel in the UK which carried open cast gelignite! The gelignite was used for blasting and building rig work in Shetland. Various boats of all shapes and sizes were bought and sold over the years! 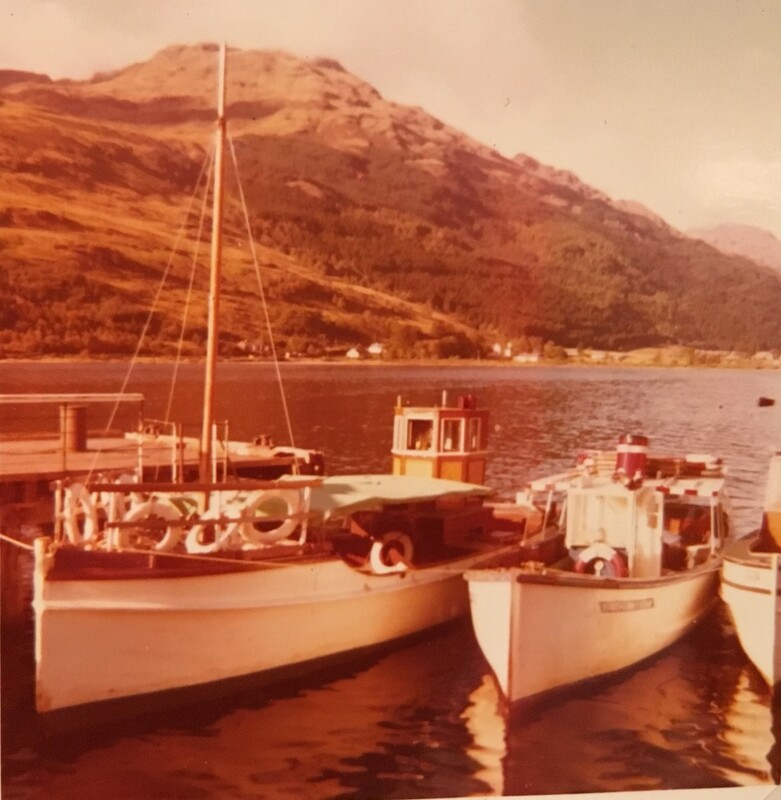 In 1978 Stuart and Liz saw a gap in the market for cruises at the north end of Loch Lomond and had the foresight to operate from Tarbet Pier. The location proved to be invaluable in the longer term, strategically placed on the main route for passing tourist coach groups as well as being at the heart of the National Park. Cruise Loch Lomond Ltd initially operated one-hour cruises with one vessel, The Southern Star. 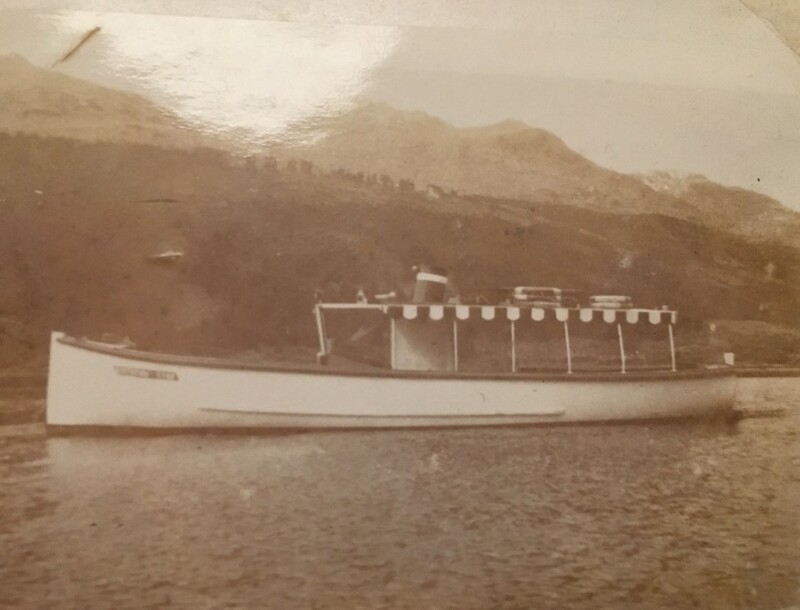 The calm waters of Loch Long (L) and The Southern Star, Cruise Loch Lomonds’ first cruise boat. 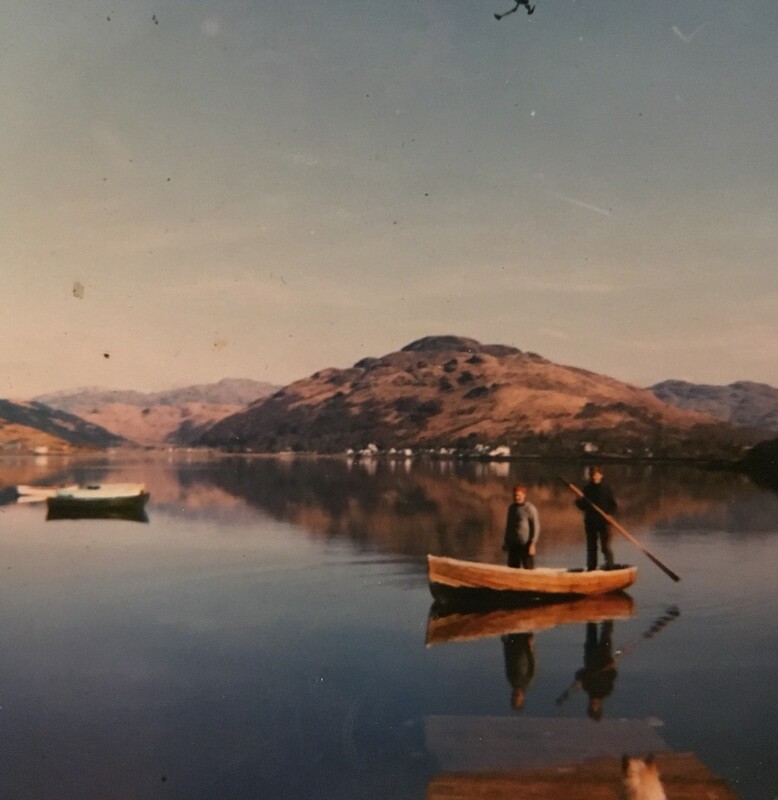 In 1982 Stuart’s nephew Fred joined the Company and Cruise Loch Lomond began to expand rapidly with increasing visitor numbers coming from the inbound tourist market coupled with the popularity of short breaks and the “staycation”. Marie, Stuart’s second wife, and Stuart (Jnr) subsequently joined the team at Cruise Loch Lomond. 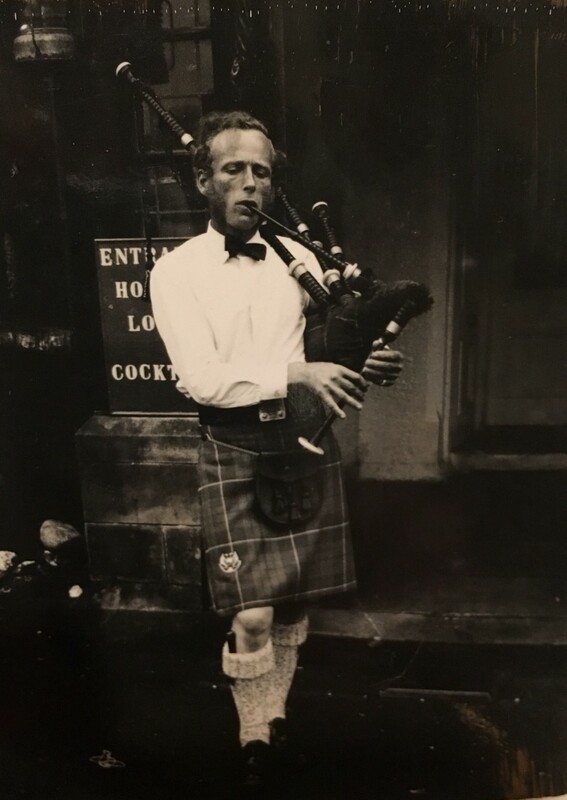 The late Stuart Cordner (Snr) playing his pipes outside Ardmay House Hotel. 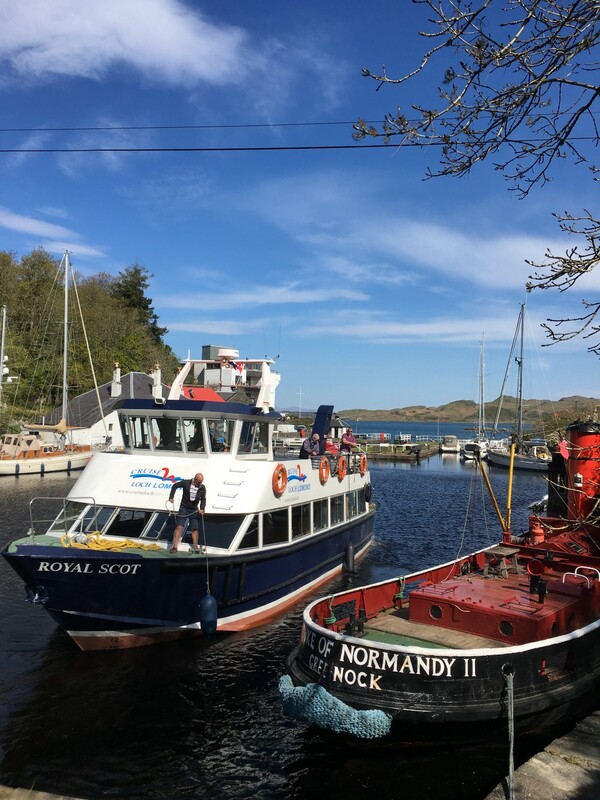 Following the purchase of the MV Lomond Monarch last year, Cruise Loch Lomond now operate a fleet of eight passenger cruise vessels making it the largest privately owned operator in Scotland. 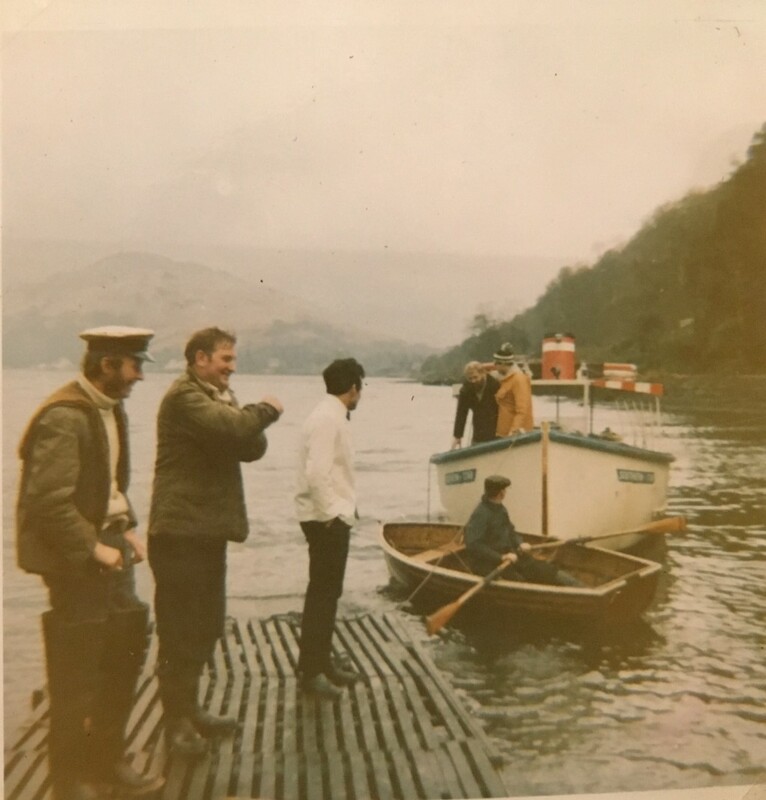 From one departure point at Tarbet in 1978, the boats now cruise from Luss, Rowardennan, Inversnaid and most recently Balmaha. 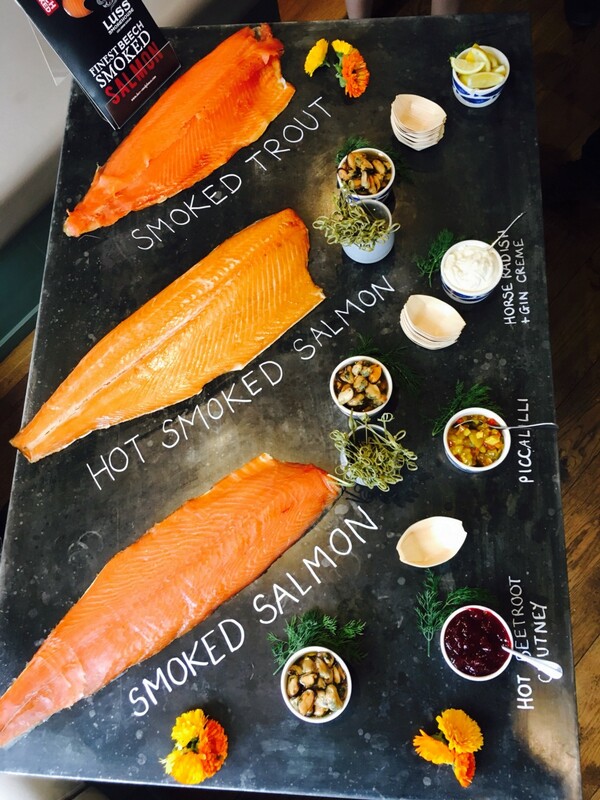 The company also operates The Bonnie and Ben Cafe cafe and ticket office at Tarbet Pier. (From L-R) Stuart Cordner Snr, Callum Maclean, Jose Andrade, Chris Moore and Pony Moore. 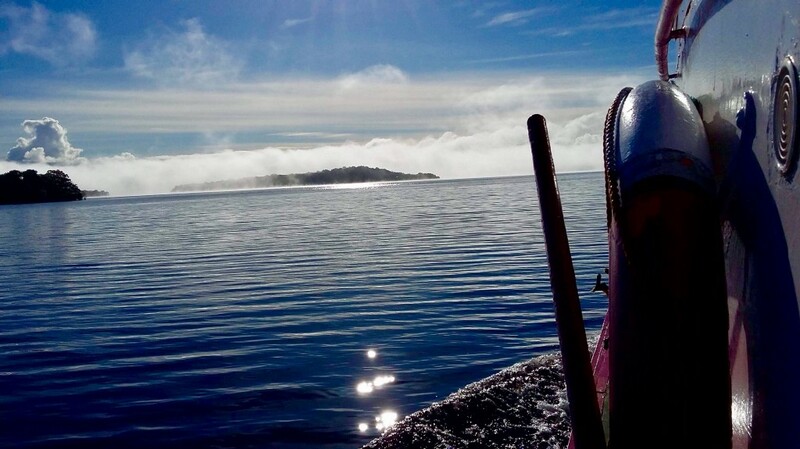 “We had an amazing week in glorious weather cruising down the west coast of Scotland. 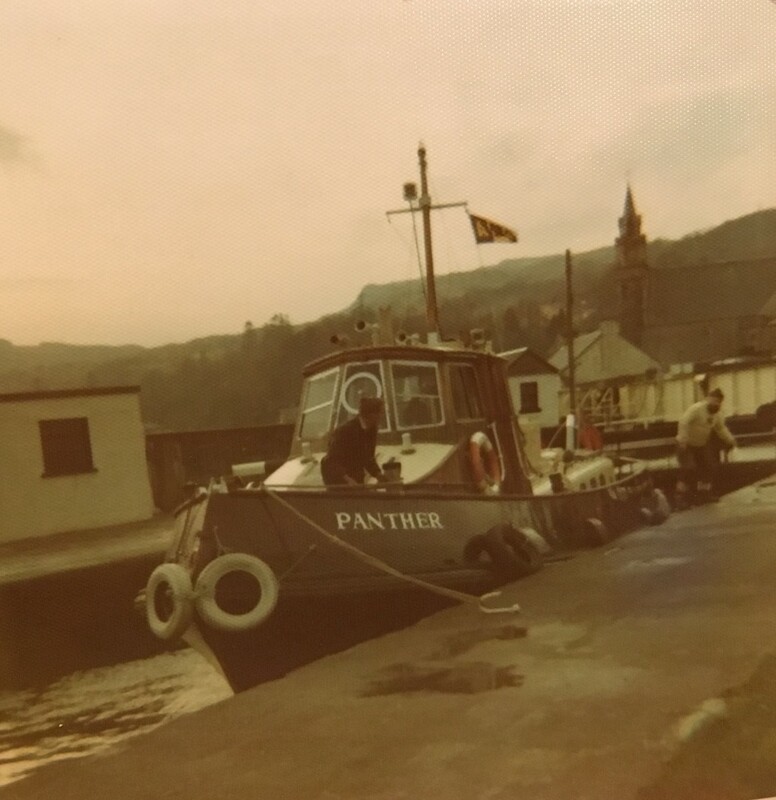 It was very nostalgic when we arrived in Crinan Harbour and berthed the new boat alongside the Duke of Normandy, a vessel Dad had operated for many years from Arrochar Pier”. Stuart Cordner ready to fend off the Royal Scot (now the Lomond Monarch) from the Duke of Normandy II, a boat originally owned by his father. 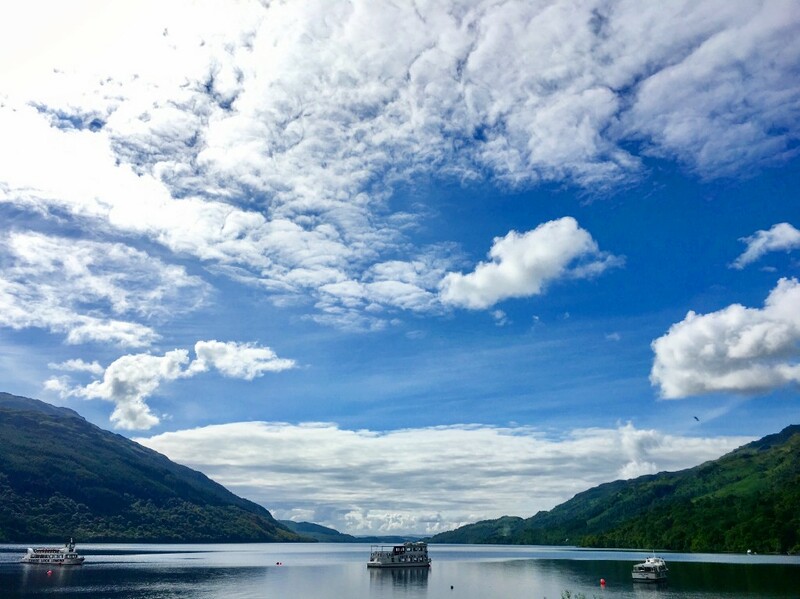 As well as welcoming visitors to Loch Lomond on board, the boats have hosted many weddings, birthday celebrations, private parties and corporate events. They have been used as the support vessels for charity events based at Loch Lomond, such as swimmers who have raised money by swimming the length of the Loch! 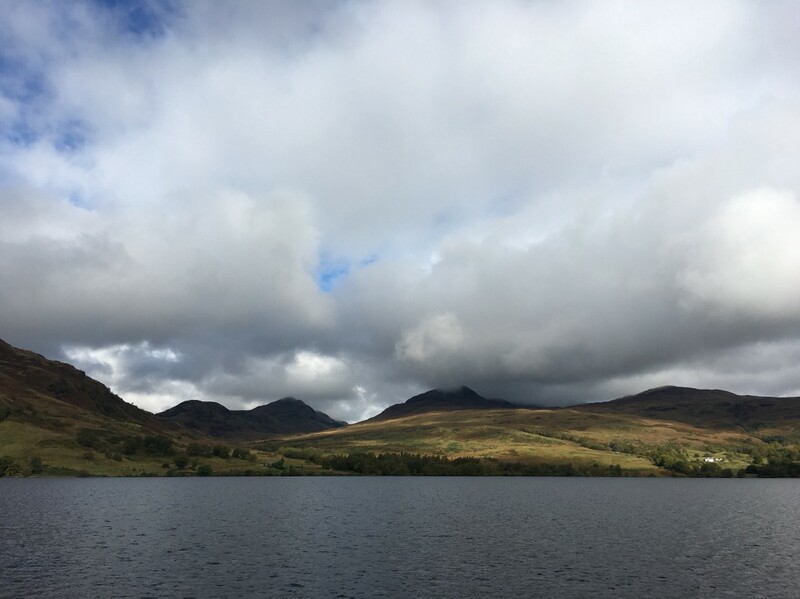 They have gained celebrity status by ferrying International film stars to locations around the Loch (Scarlett Johannsson in the film “Under the Skin”). 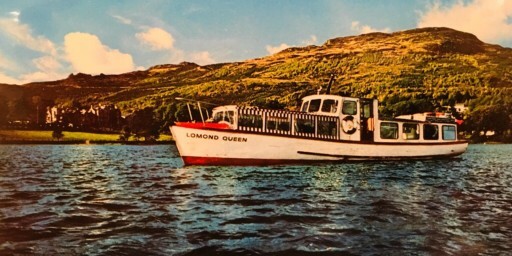 The original Lomond Queen which is now The Lomond Warrior and The Panther, one of the original tug boats. Today it is still very much a family business with Fred, Stuart (Jnr) and Marie at the helm of this flourishing and award winning Visitor Attraction. 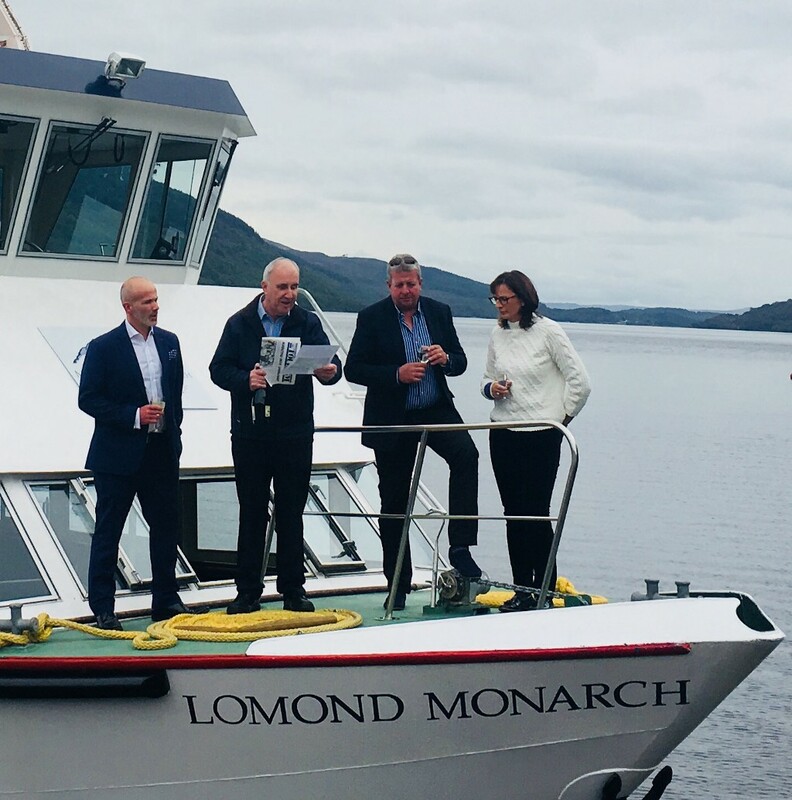 Celebrating the launch of The MV Lomond Monarch with (L-R) Stuart Cordner, James Fraser , Fred Moore and Marie Cordner.